All newly admitted students are expected to visit the University of Abuja official portal https://portal.uniabuja.edu.ng (OR, visit the University website www.uniabuja.edu.ng and click on Portal at the top of the page). On opening, a pop-up form will display instructions on how to use the portal. Clicking on General Information will also display the instructions. On the portal, click on the New Students button. This will lead you to the portal dashboard where the options available will be displayed. However, those who have previously visited the portal and have been screened at their faculties can click on Returning Students to complete their registration. Carefully follow the instructions below in that order, for online Admission Checking, Payments and Registration processes. CHECK ADMISSION STATUS: Click on the button ‘Check Admission status’ and enter your JAMBID in the box provided to check your admission status. If your status is ‘Not Admitted’, patiently wait for the release of subsequent admissions. ADMISSION NOTIFICATION: Successful candidates will get a message on the course they are being offered. To print your Admission Notification, you are expected to pay the sum of N4,500.00 through REMITA via the University Portal. NOTE that the system will not allow you to print Notification of Admission until you pay this fee. DO NOT PAY CASH TO ANYBODY OR DIRECT TO THE BANK. ALL PAYMENTS MUST BE BY CARD OR INTERNET BANKING, AND ONLY THROUGH THE UNIVERSITY PORTAL. THE UNIVERSITY WILL NOT BE RESPONSIBLE FOR ANY PAYMENT MADE THROUGH OTHER MEANS THAN THE ONE MENTIONED ABOVE. ALSO NOTE THE REMITA CHARGES 1% PROCESSING FEE ON ALL ITEMS PAID. PRINT ADMISSION NOTIFICATION: Successful students who have paid the Admission Notification Fee can proceed to click the Print Admission Notification button. Also click on the Download Admission Pack to download registration documents and other notices. You will be required to supply your JAMBID and SurName in the boxes provided. DEPARTMENTAL SCREENING: Proceed to Faculty/Department Screening with your original credentials and Admission Notification printed earlier on. AFTER SCREENING: Successfully screened students should collect matriculation numbers from the screening officer and wait for 24hrs for the upload of their matric numbers by the ICT Unit. NOTE that ICT Staff will only collect matriculation numbers from the screening officers for uploading. No student should take his matriculation number to ICT staff for uploading. UPDATE BIO-DATA: Students should login with their Matriculation Numbers and update their Bio-Data by completing other personal information yet to be filled. NOTE that every information you give is important and is for the benefit of your studies. Ensure that all fields are completed in the Bio-Data form. Also check and make sure that your names are in order as collected from JAMB. CHECK that your surname, middle name and first name are correctly captured. Please, in case of error, fill a form for correction of names in the Registry Department. The names that appear on your admission letter are the names that will be on your certificate after graduation. There should be no abbreviation whatsoever in your names. ICT Unit will collect and update all corrected students information when approved by the Registrar. CHANGE YOUR PASS WORD: It is advisable for students to change their password from the default password to a customized password and protect it against hackers for security reasons. It is obligatory on you to protect your password. Do not allow your password to be used by another person other than yourself. UPLOAD PASSPORT PHOTOGRAPH: Upload your passport photograph and save it with your Matriculation Number with the extension .JPG. The size should be as stipulated on the portal (100x100 pixels, not more than 100kbytes) . This is very important because your payment receipts will not be valid without your passport photograph. PAY SCHOOL FEES: Students can pay school fees and other incidental charges on the portal. They can also print receipts of all payments. NOTE that using the suggested modes of payment on our portal is to safeguard your funds and to avoid loss of money during payment transactions. HOSTEL ACCOMMODATION: Application for Hostel Accommodation is optional and should be done through the portal. Click on Hostel Accommodation on the Dashboard to book for accommodation. Applicants shall be treated based on first-come-first serve basis. A period of one week from the date of approval shall be given to students whose applications have been approved to make payment. All booked spaces not paid for within one week of booking shall be revoked. NOTE that you cannot book more than once. Also make sure you choose a hostel on the campus where your faculty is located. PLEASE, DO NOT PAY FOR ACCOMMODATION WITHOUT A BOOKING. THERE WILL BE NO REFUNDS. EVIDENCE OF PAYMENT OF ACCOMMODATION: Successful students that have been allocated hostel accommodation should Print Bed Space Booking Approval, pay Hostel Accommodation Fee and print evidence of payment. They should also print Bed Space Allocation Slip and Hostel ID Card. At this point they can proceed to their various Hostels and see their Hostel Administrators to occupy their allocated spaces. COURSE REGISTRATION: After screening and Bio-Data Update, click Returning Students on the main Undergraduate Portal menu. Log in with your Registration Number and Password. This takes you to your Dashboard where you can select Course Registration on the left panel. Complete your Registration by registering all the courses you are expected to offer this session. NOTE that your Course or Level Coordinator as the case may be, is assigned to guide you on what to do. You need to know your Level Coordinator. MEDICAL REGISTRATION: Complete the Medical Record Forms downloaded earlier fill them and visit the University Medical Centre for further instructions. LIBRARY REGISTRATION: Visit the University Library and register as a student so that you can have access to Library facilities. MATRICULATION OATH: Signing of Matriculation oath is an important event in the history of new students. 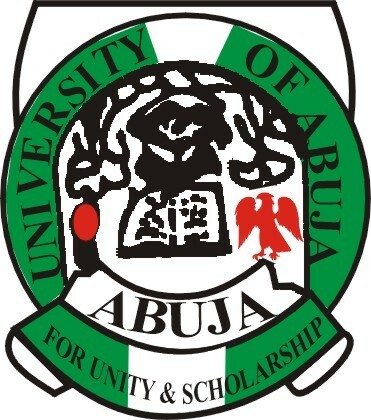 It is only when this is completed that they are regarded as students of the University of Abuja.